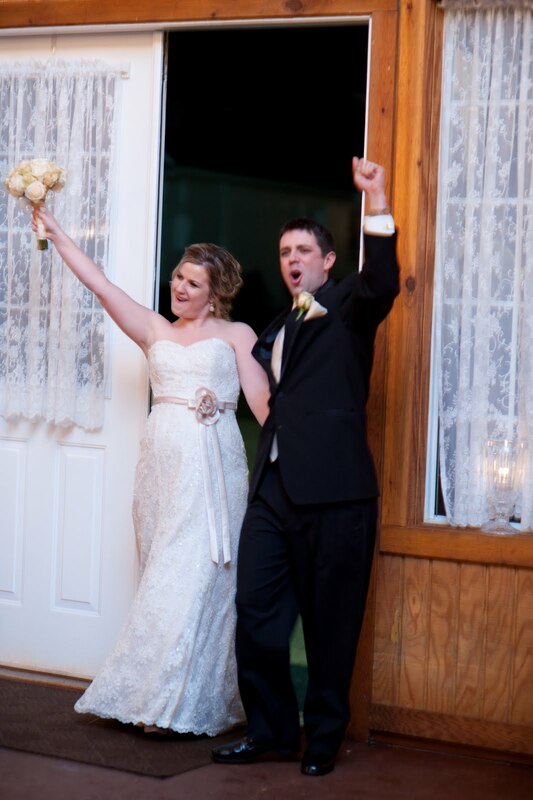 Two years ago today I married my one and only! It has been a busy two years. We have moved half way across the country, started new jobs in Austin, Manny started grad school (which he is officially half way done with! ), and bought a house. Such a great two years and I know we will have many more. I love you Manuel! Happy 2 Year Anniversary! I love Christmas time! I love getting all my Christmas stuff out. I love it for two reasons. 1) I have just always loved a decorated house during Christmas. 2) All my decorations are from my wedding. It's just a fun way to be reminded of the best day of my life every year! Any way, I pulled all of my decorations out the Friday after Thanksgiving since Manny was working and I was home alone. Since this is our first Christmas in our new house, I did feel a little overwhelmed but I am very happy with the way it turned out. This is our tree. We bought a new taller skinnier one this year. The tree skirt was made by my grandmother. She is coming to our house for Christmas this year and I hope she loves seeing that I am using it. Our mantle. Last year our mantle didn't have the TV on it. So that was a new challenge. I feel like it came out well. This is the button/brooch tree that my mom and BethAnn made for us last year. It's one of my favorite Christmas decorations. I wish it could stay out all year. I have this bird apothecary jar out year round but it usually has some cream feathers in it. I stuck some ornaments in it for a little glitz. The piano was something new to decorate this year. I have to say that I love the way it came out. This is our dining room centerpiece. I usually have a bird under that glass dome. I took the bird out and added some ornaments to it. Then I put some ornaments in another apothecary jar and then put a bird down at the bottom. I added some greenery and a little bit of white bead garland. This is our front door. Next year, I definitely would like to do a lot more but it will have to wait until next year. I am dying to get a little table to put to the left of the door to decorate year round but I haven't found one yet. Anyway, I have been obsessed with pinterest and I decided to make my own Christmas wreath this year. Here is a close up of the wreath. I wrapped a Styrofoam wreath with white muslin. I also wrapped the end of the wreath hanger in the muslin so you couldn't see the black. I glued some snowflakes, a mercury glass ornament, and a bird ornament on there. I love it. I love that it's soft and Christmasy! This is sitting on my bar. It's a bread bowl filled with mercury glass and glittery ornaments. This is it from the other side. I need to get a shade for my back door. The sunlight was out of control. Here is my little silver tree with our wedding ornaments on them. My mom gave us these ornaments. Each one represents something for your marriage. This next picture was so hard to take. We put up lights on our house too. It was really fun to do this. Manny did a really good job. I like the plain and simple look when it comes to Christmas lights. Haha! I took this picture of Mija under the tree. She's not very photogenic! Merry Christmas from The Pina's!! !